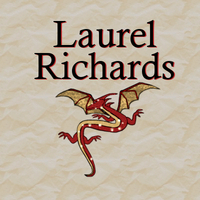 Laurel Richards is a fiction author with a passion for shifters, space travelers, and other memorable characters. She has gathered inspiration from lots of different sources throughout her life and is here today to share her imagination through storytelling. Laurel writes sci-fi/fantasy, paranormal, and the occasional funny mystery, all with various degrees of romance mixed in. 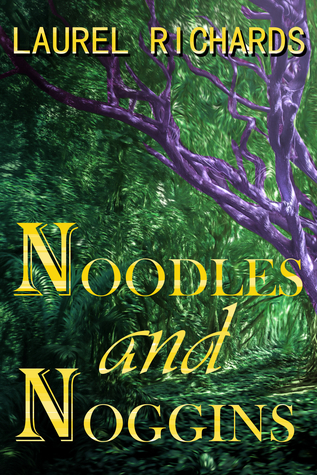 My crazy contemporary fantasy Noodles and Noggins just got a brand new cover, and it's now on sale for only 99 cents! Pros: This was a solid new addition to the In Death series. Minor characters from the past appeared just the right amount, and I thought the gang angle kept this book feeling fresh. Pros: Like most of Buroker's work, this one was filled with great characters and lots of action. I loved all the magical elements. Cons: I didn't feel this book was quite as strong as the first two in the series, though it was still a fun read. There were a few typos here and there (e.g. "battle" instead of "babble" and "closet" instead of "closest"). We’d love your help. Let us know what’s wrong with this preview of Blood Charged by Lindsay Buroker. Pros: I loved the hero and heroine, all the action, and the pacing. This was a very fun read, complete with prison escapes and pirate battles. Cons: I think anyone who had not read the first book would be lost trying to follow this. I recommend readin Pros: I loved the hero and heroine, all the action, and the pacing. This was a very fun read, complete with prison escapes and pirate battles. Pros: This novella packed a ton of emotion into a relatively short work. The characters came alive, and the story offered a different perspective on the vampire world created in this series. Cons: I felt this book could have been tied into the Black D Pros: This novella packed a ton of emotion into a relatively short work. The characters came alive, and the story offered a different perspective on the vampire world created in this series. We’d love your help. Let us know what’s wrong with this preview of Dearest Ivie by J.R. Ward. Pros: I loved Assail and Sola's story, and I'm fascinated by the new shadow threat to the Blackdagger Brotherhood. I was also pleased with how the relationship issues between Vishous and Jane were handled. Overall, this was a fun read. Cons: I would h Pros: I loved Assail and Sola's story, and I'm fascinated by the new shadow threat to the Blackdagger Brotherhood. I was also pleased with how the relationship issues between Vishous and Jane were handled. Overall, this was a fun read. Pros: It's always fun to catch up with old favorites from the Brotherhood and to learn more about the trainees. Overall, I liked the romance between Novo and Peyton and between Ruhn and Saxton. I just wish there had been more relationship development Pros: It's always fun to catch up with old favorites from the Brotherhood and to learn more about the trainees. Overall, I liked the romance between Novo and Peyton and between Ruhn and Saxton. I just wish there had been more relationship development, especially between the latter couple. Pros: I liked the setting, with the dangerous gardens, and I liked the idea of the Flint and Marsh Agency. Overall, I'm a big fan of Amanda Quick's work, but this book wasn't my favorite. Cons: The would-be assassin in the beginning is a horrible cari Pros: I liked the setting, with the dangerous gardens, and I liked the idea of the Flint and Marsh Agency. Overall, I'm a big fan of Amanda Quick's work, but this book wasn't my favorite. We’d love your help. Let us know what’s wrong with this preview of Crystal Gardens by Amanda Quick. Pros: This book had some nice twists to it, and as always, I enjoyed how Amaranthe got herself in and out of trouble. Cons: This book had more typos than the others. My only serious complaint, though, was that (view spoiler)[I didn't like that Buroker Pros: This book had some nice twists to it, and as always, I enjoyed how Amaranthe got herself in and out of trouble. Pros: I absolutely loved some of the scenes in this book, especially between Sicarius and Sespian. As always, the suspense and action were really well done. Cons: Some other scenes felt like they were just recycled from previous books in the series. I Pros: I absolutely loved some of the scenes in this book, especially between Sicarius and Sespian. As always, the suspense and action were really well done.